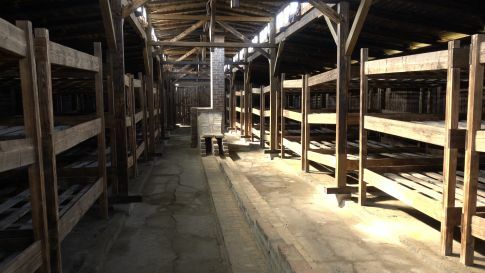 In our last post about regatta in Krakow, we’ve mentioned about Auschwitz tour. As that trip was unbelievable experience for us, we’ve decided to write a separate post about it. Our Auschwitz tour begun early in the morning. We went there with KrakowDirect as a friend recommended this company to us. That was definitely good choice as the organization was excellent. Already on our way to Oświęcim, we found out about many interesting facts from the driver. We’ve also watched an absorbing documentary movie entitled “Liberation of Auschwitz” in a bus. 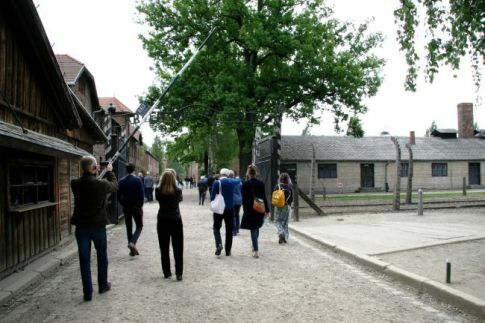 It was a form of introduction to our Auschwitz tour. Does everybody should go on Auschwitz tour? I must admit, as the organizer of Auschwitz tour, that I wasn’t sure if each one of us was prepared to see the place. According to Auschwitz Museum’s rules, it’s not recommended to visit the place with children under the age of 14. In fact, one of our members – Christina, were 13 at that time. Nevertheless, her mother knew about that and I agreed. In my opinion, you should see the place as early as possible in your life. It can teach you and make you realize many important things in life. For all of us, the Auschwitz tour was truly unforgettable. We’ve seen two main parts of former Nazi concentration camp. The first part, Auschwitz I, took around 3 hours but it seemed like a moment. Unbelievably cruel Nazi ideology was brought into existence inside the camp. It’s incredible, that Germans managed to convince so many people to hatred. They were treating Jews like rubbish. Visiting numerous camp blocks, we’ve found out where and how Nazis were treating Jewish prisoners. Moreover, we’ve seen terrifying photographs of inmates who were the living objects of medical experiments. In the second part, Auschwitz II-Birkenau, we’ve seen ruins of crematoriums and gas chambers. Also, a guide showed us a barrack where prisoners were living in inhuman conditions. That was one of the most shocking thing during our Auschwitz tour. Many barracks were originally stables. People literally did not have place to move.